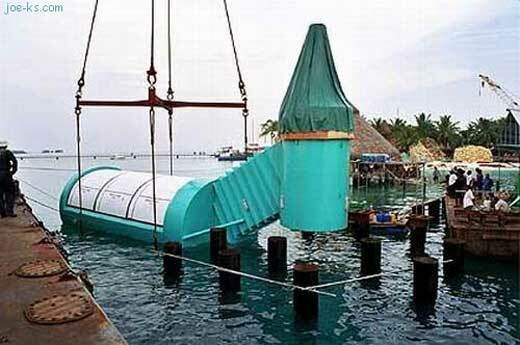 Opened since April 2007, the Ithaa Undersea Restaurant still interesting to talk about. 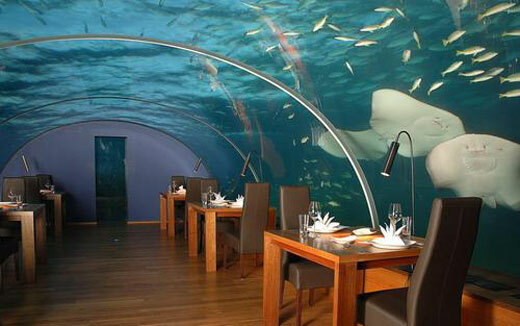 Known as the first-ever transparent undersea restaurant in the world, the restaurant sitting five meters below the sea level of the Indian Ocean. “We have used aquarium technology to put diners face-to-face with the stunning underwater environment of the Maldives”, says Carsten Schieck, General Manager of Hilton Maldives Resort & Spa.